My story is like that of many others. The yo-yo dieting, jumping on the bandwagon of the latest fad diet or fitness craze, lose weight, then gain it back again plus more, excessively exercising & restricting calories, did it yield results, sure but was it feasible to sustain at that level… no. I teach Group Fitness classes. I am a Medical Professional but was still not seeing the results I wanted. I had a total hip replacement which resulted in significant post-op complications, including the complete loss of the use of my right quad for over six months, was told to accept the fact that I may need to use a cane for the rest of my life, my response along with a few other expletives… no way. I needed to get my nutrition in check, as a cardio junkie I needed to incorporate more weight/resistance training into my workouts, and to continue to rehab/strengthen my quad. 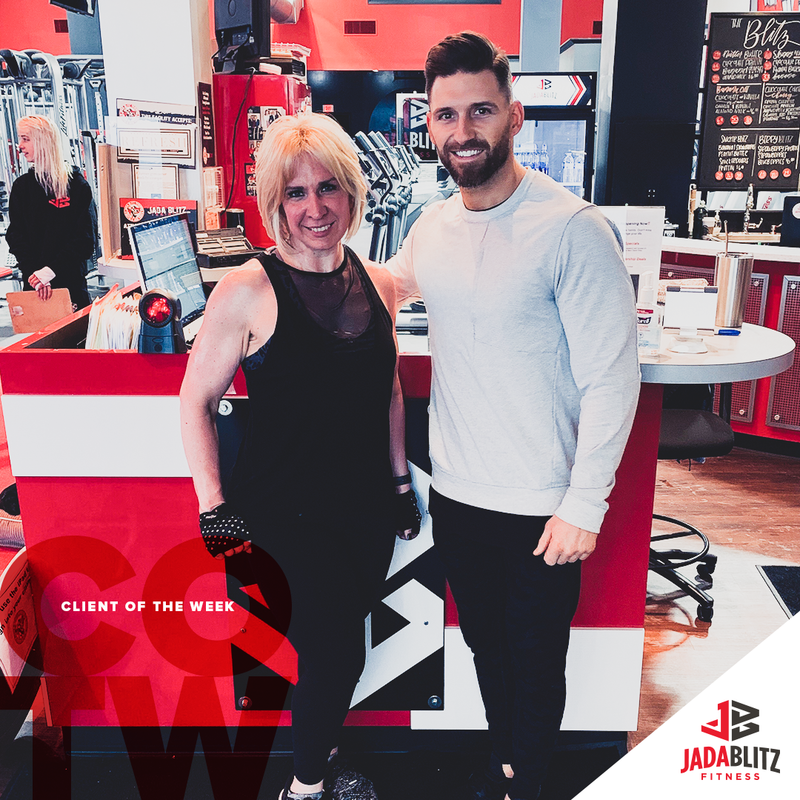 I started training at Jada Blitz about six months ago, it is honestly one of the best decisions that I ever made. I train with Justin Draper. He pushes you past what you believe your limits are, to a higher level of strength training and works with you to reach your personal goals and be successful. Justin does all of my nutrition/macros. He makes you understand the process of how to drive your metabolism. I use Balanced Body Foods for all of my meals every week… currently down about 25 pounds with the greatest change in muscle mass/body composition. I honestly cannot say enough.